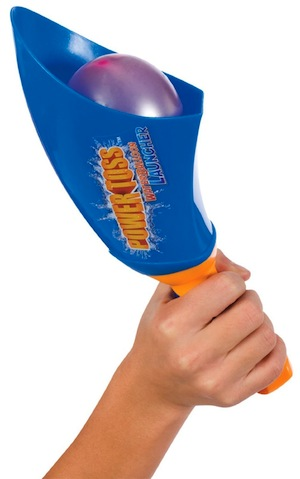 Includes (1) plastic scoop (10.5" wide), (1) fill nozzle and (100) water balloons. Throws balloons up to 80'. Plastic. Ages 6+.